Congratulations to Solivita for winning the Grand Award for Best Community and placing first in the category for Community-800+ Planned Homesites! The award was presented by the Greater Orlando Builders Association and ODC Construction. The Parade of Homes® showcases the most innovative concepts in homebuilding, energy efficiency, sustainable architecture, and interior design throughout Orange, Osceola, and Seminole counties. More than 50 Orlando area’s homebuilders, developers, and remodelers submitted 92 entries for public viewing and judging by industry experts. 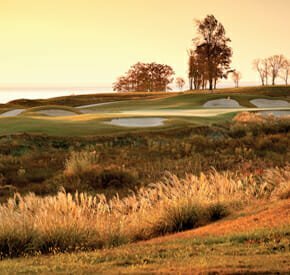 Brunswick Forest has opened sales on new homes and home sites located along the fairways and overlooking the greens of the community’s scenic Cape Fear National golf course. In addition, two new residential enclaves have been announced in the popular Cypress Point and The Lakes neighborhoods. Each will feature distinctive architectural styles with access to all of the Brunswick Forest resort-style amenities. Separate homecoming events are planned for October and November. The Walk at East Village Clubhouse Coming Soon! Grand new design plans for the Walk at East Village clubhouse and associated amenities have been completed for The Walk at East Village. Fitness facilities, lap pool, yoga and pottery studios, demonstration kitchen, sports lounge, pickleball and bocce ball courts, putting green, community garden, and a dog park are all included. 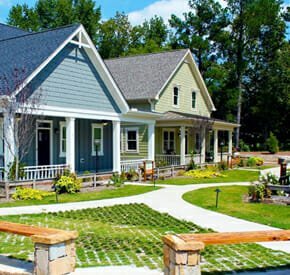 The active-adult community in North Carolina has also unveiled seven new floor plans for stylish homes in The Walk at East Village. 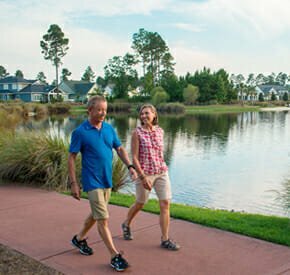 This Albemarle Sound waterfront community features a world-class Arnold Palmer Signature golf course, resort-style swim pavilion, marina, kayaking ponds, paddleboards, fishing, and more. Their new bar and eatery, “The Shed,” hosts weekly events and is fast becoming the community hub. Time for a North Carolina Tour? The new Ridgewood Events Lawn was the host site for the summer kick-off community celebration at Waterways. Neighbors gathered for a barbequee dinner and live music after the ribbon-cutting ceremony. Another recent addition is the new community guard house with state-of-the-art resident access technology. 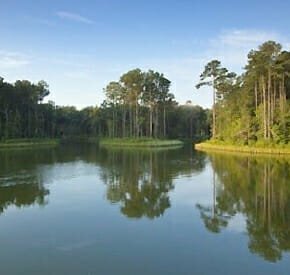 The Savannah-area development is now offering new waterfront and wooded home sites in the intimate Lakewood neighborhood, as well as estate sites in The Enclave and Parkway South. 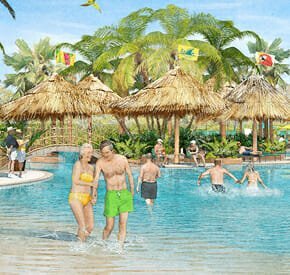 Plans for a third new LATITUDE MARGARITAVILLE active-adult community by Minto Communities and Margaritaville Holdings have been announced. The Latitude Margaritaville Watersound residential development will be located on the Florida Panhandle near Panama City Beach and will feature one-of-a-kind upscale amenities for age-55-and-better homeowners. Groundbreaking is scheduled for early 2019, with the sales center and model homes expected to debut about a year later. The first two LATITUDE MARGARITAVILLE communities have already opened in Daytona Beach, FL, and Hilton Head, SC.